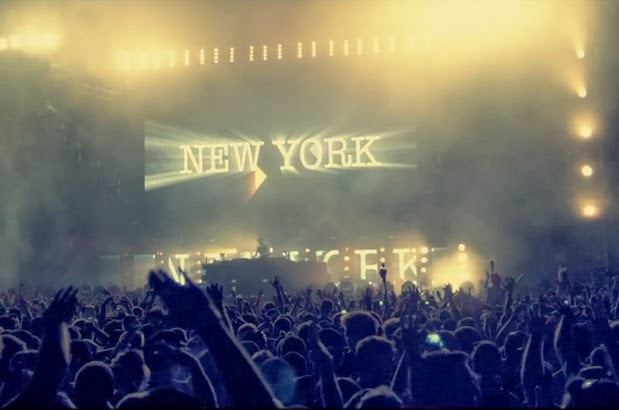 Two Deaths at Electric Zoo Led to a Media Firestorm, But is Anyone Getting the Story Right? Electronic dance culture is all about the music and the vibes—the party, if you will. And if you haven’t done some sort of euphoria-inducing something or other, know someone who has, or have at least had it offered to you, then you probably don’t go out to the club very often. It’s hardly a new norm. In fact drugs have been a part of this culture since the '80s. And with that comes the occasional drug overdose. This isn’t exactly new territory. Although, with the way the media has been covering it lately, you’d think it was akin to biological warfare. When reports of Jeffrey Russ and Olivia Rotondo’s deaths by drug overdose at the Electric Zoo festival in New York City hit the news cycle earlier this month, the first thing out of reporter's mouths and keyboards was 'Molly.' Every source from NBC to Fox News to The Washington Post was alluding to the fact that this MDMA stuff was some kind of new and dangerous thing. Or perhaps there was just something different about this particular batch. But batch variation is a known risk of playing with synthetic drugs, especially if you aren't familiar with the source. So, if you know anything about that world, those reports began to feel like fear mongering, an attack on a misunderstood culture—and a place for conservative pundits to start talking about the broader war on drugs, even while the Obama Administration seeks to invoke changes in drug laws that could shorten incarceration times to cut down on the number of non-violent drug-related prisoners. Molly, aka the love drug, may have its risks, but it’s likely not the culprit of violent crimes. To parents of college-age kids, those words spell “uncontrollable mystery”. And if they want to start talking to their kids about this tragedy, they’re going to have to bone up on their knowledge of rave culture as opposed to simply reading an article in The Wall Street Journal. The mainstream media isn’t quite telling the whole story, or at least reporting responsibly. When headline after headline screams 'MDMA' alongside inconclusive autopsy reports, toxicology reports that didn’t surface until after the Electric Zoo story was already buried in the news feed, and a police report that Russ was also in possession of crystal meth at the time of hospitalization, it’s pretty difficult to so confidently blame one thing. This story is bigger than that ubiquitous party girl named Molly. The drug is just one character here and the media is giving it the leading role without much context for those who have never been to an electronic-music event. Molly, among her more dangerous counterparts, has been present at underground parties for longer than Rotondo and Russ have. But now, because the underground is less than underground, thanks to the valuable advertising space it provides for multi-billion dollar brands, two deaths in this context seem so much bigger. Billboard Biz stated that, “Cities have shut down nightclubs and raves over drug concerns throughout dance music's 30-year history. But that was before the arrival of EDM with its giant and young audience, and the massive investment it attracted.” It went on to call this incident the “first shutdown in the EDM era.” The truth in that statement lies in what you consider to be the “EDM era”. While Spin stated that LA chased the EDC's promoter out of the city, that again isn’t the full story. 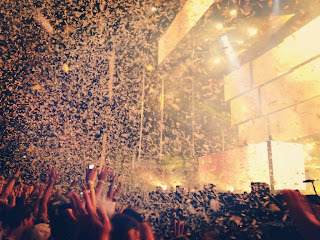 The interesting thing about the EDC in LA in 2010 is that Rodriguez’s death actually prompted LA County to create a Rave Safety Task Force to examine the drug problems of the vibrant, thriving dance-music culture. They didn’t want to outright denounce big stadium raves. They wanted to understand them. To do so, they framed the conversation as a public health concern as opposed to a criminal one. 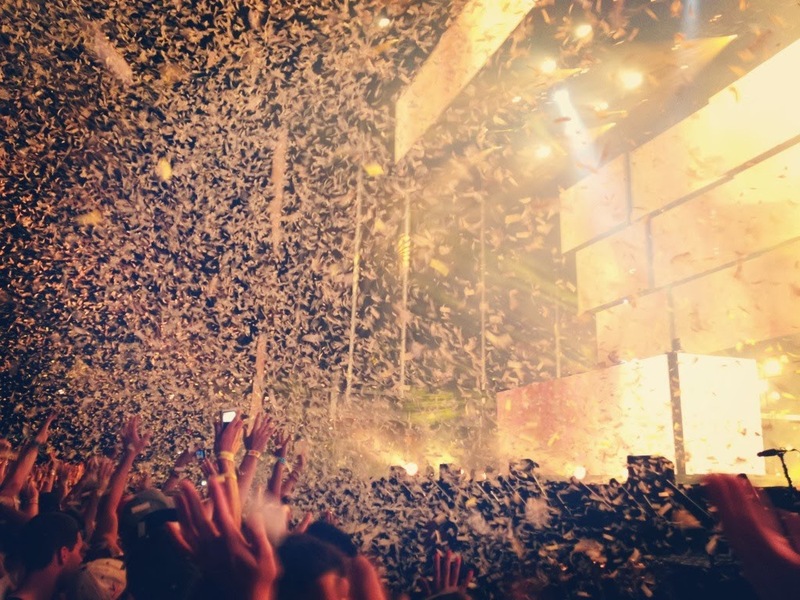 They included a broad range of stakeholders in the music and public safety arenas, from promoters, musicians, and the Editor-in-Chief of URB to emergency response professionals and public health experts. The Rave Safety Task Force's proposed motion emphasized harm reduction—methods that promote an understanding of the effects of drugs as opposed to abstinence—an unprecedented policy approach to drug issues in the US. However, finding statistics on the overall effects of harm-reduction procedures is nearly impossible. Harm reduction techniques are less prevalent in the United States than in other countries because of an amendment to the Crack House Law. 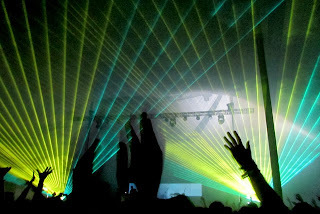 The cutely named RAVE Act—Reducing Americans Vulnerability to Ecstasy—came into effect in 2003, and basically took a law that was set in place to prevent building owners from using their property for the sole purpose of drug trafficking, and broadened it to make any event permit owner or building owner responsible for the actions of the people at their event or on their property. If a promoter shows they know drugs are being used at their event, they open themselves up to heavy fines or even jail time. That threat makes it difficult for promoters to blatantly push harm-reduction methods that actually work. And the results of the kind of “Stay Safe…” signage that peppered the Electric Zoo festival grounds are basically immeasurable.